Do you have a problem shutting out the world~wide~web when you should be working on your manuscript? I do. Freedom might be the answer for you. For only ten bucks you can temporarily block Internet access to your computer. I think I need it. My ADHD takes over when I am surfing the net, researching info for my NIP and three hours and three hundred clicks later, I have no idea what my original question was. If you still want some freedom, why not try, Anti-Social. It only blocks access to social media sites, while you work. Revisions and editing got you down? Having trouble concentrating? Can't seem to block out all the distractions? Perhaps the problem is not you, it is your writing desk. 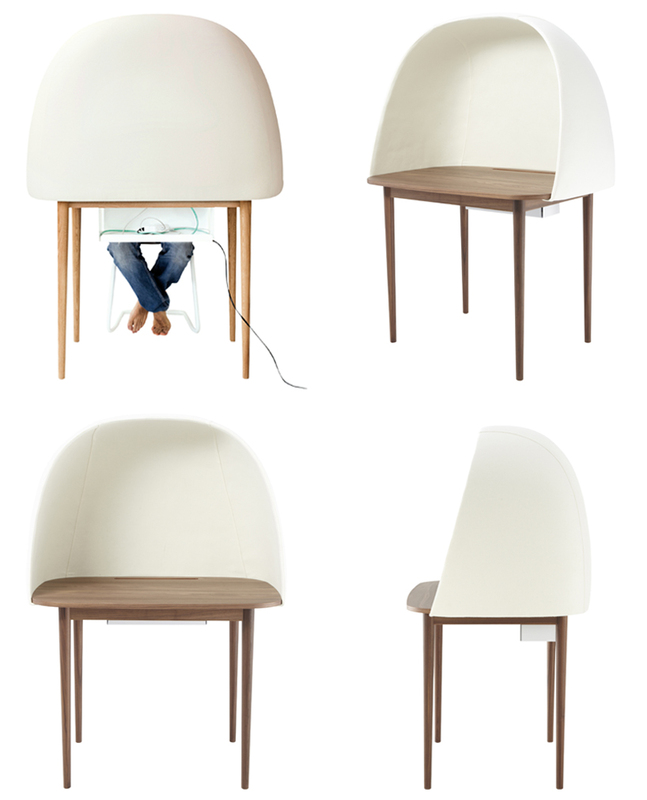 Try the Re-Write Desk and you'll churn out that polished manuscript in no time. When all else fails, pour yourself a nice glass of wine, I mean juice- mommy juice, that is. I haven't tried this, but you gotta love the name. 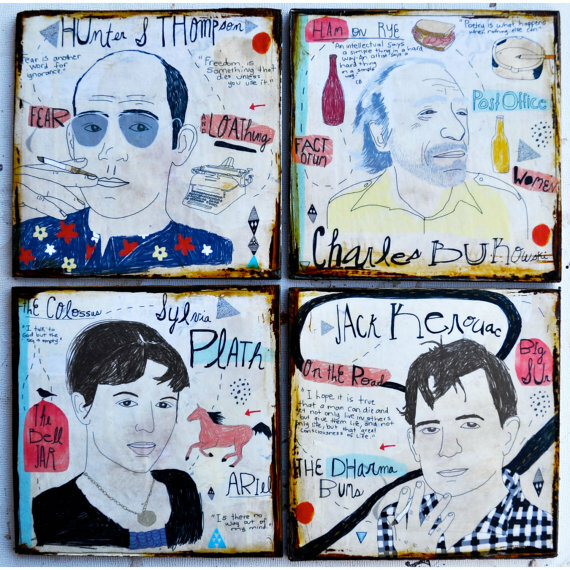 I don't know your opinion on creative lubrication, but a great number of famous authors have struggled with alcohol. I sit in the middle of that fence. I would never get anything accomplished if I lived in a Hemingway stupor and too much alcohol steals time from creativity. I tend to write without my inner critic after one or two glasses of wine, but that's when the law of diminishing returns kicks in. I didn't mean to get all philosophical. 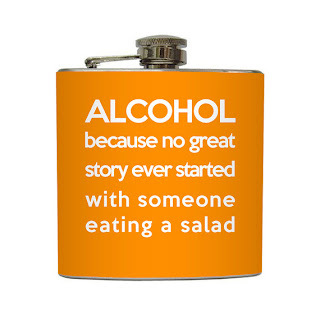 I just wanted to show you this quirky gift of Liquid Courage. 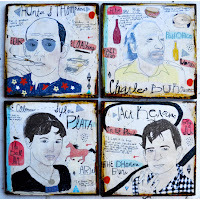 And with all that drinking, you are sure to need some creative, artsy, writery coasters. 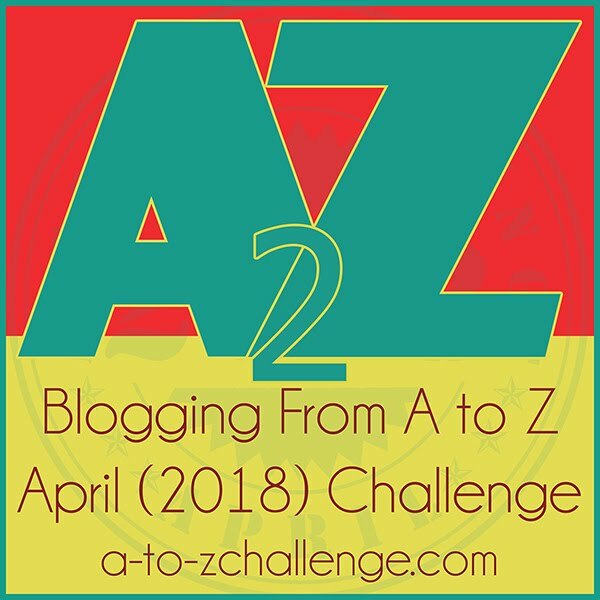 What if you find yourself in a writer's funk? It happens, to drinkers and non drinkers, alike. Well, there's a tool for that. 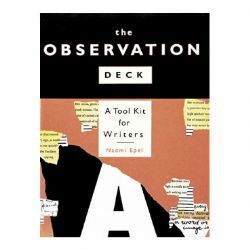 Dig into this Writers Toolbox. This writer's toolkit looks like fun. Try the Observation Deck. 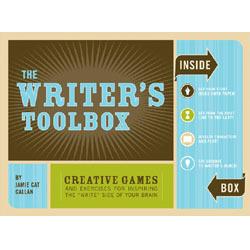 It is a combo, book and cards with useful writing tips, prompts and other creative tools. You probably know that I am a notebook junkie. I write my first draft with pen and paper and I am a little neurotic about having the perfect notebook. I can blow an entire day if I don't have the right pen. I must have a fine (needle) point, rollarball blue pen. 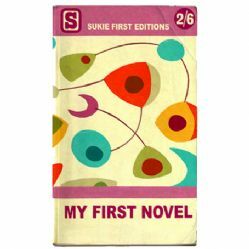 I saw the cutest notebooks on this website. Here are a few of them. I could have been a novel. 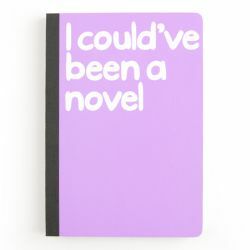 Here is another fun notebook to brainstorm the rough draft of your first novel. It comes in three different abstract patterns. What? You can't sleep, right now? Oh my mistake. You meant, you cannot sleep, so you are going to write, right now. Ah! Yes, that makes much more sense. So what do you do when you Can't Sleep Write Now? An inspirational journal for all tireless thinkers. It is filled with provocative quotes and writing prompts. 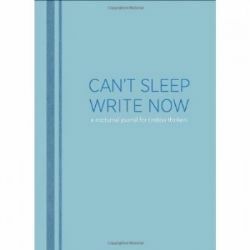 So the next time you lie awake at night, battling insomnia, just give into it and pick up your handy new creative writing journal. 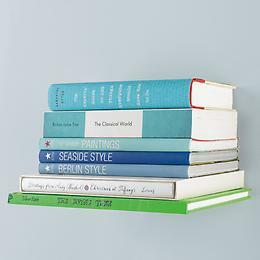 How many times have you answered the question, "What books are on your bedside table?" If you are anything like me, your bedside table is overflowing with stacked books. I have books stockpiled on the floor next to my bed. How many? So many that I actually grouped the stacks close together and formed one giant stack and created a makeshift bedside table out of my stacked books. I place my water bottle and other nighttime necessities on top of my books~turned end table. 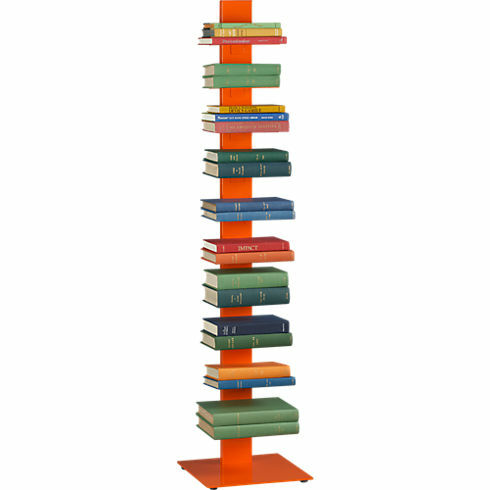 I had to come up with a better idea and every "how to get organized book" (yup, more books) I have, stresses the importance of going vertical. I would turn all four walls in every room into built in bookshelves if my family would allow me. 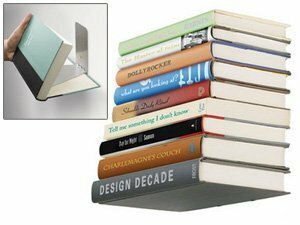 In the meantime, these inexpensive, almost invisible floating bookshelves due the trick. The shelf is about $15 bucks. I am also in love with this pop orange bookcase , found at cb2, for $189.00. 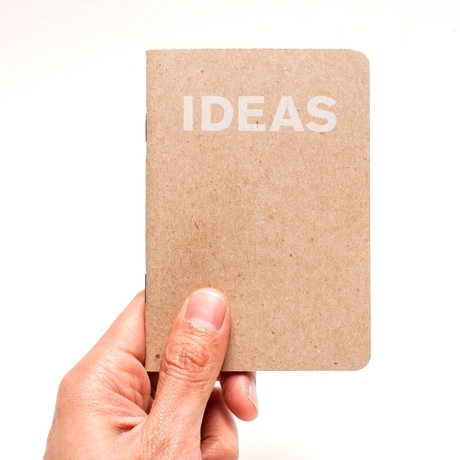 For those of you who don't buy into the whole notebook thing, we can all use a mini idea book. They are tiny enough to slip into the back pocket of your jeans, or you can toss one in your purse. They come in packs of three for only six bucks. I think my favorite gift for writers this year is the Book Book. What is a book book? It is so many things, but mainly it is a one of a kind, hardback leather case designed exclusively for your MacBook Pro. It is unique, cool, and no two are alike. 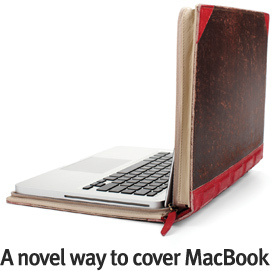 Book book is also an innovate and stealthy way to disguise your laptop. For $79-$99 dollars, you not only get an attractive laptop protector, you reduce the risk of having your MacBook stolen while at the library, dorm, work, coffee shop etc. What's on your Christmas list this year? What is the one item you really want? What is your "non writer" favorite gift? Have you stumbled upon any cool gifts for writers? Please share. 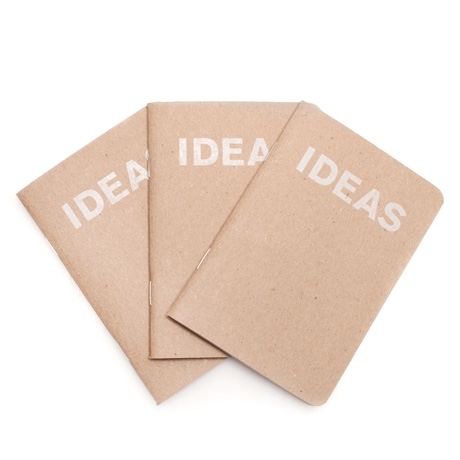 If the idea notebooks come with ideas already in them, then I'll take twenty! I'm in love with those book shelves! :) Thanks for sharing, Melissa! Thanks Carrie. Good to hear from you. Funny. I like them, but I write so big and so much, they wouldn't last a week. The "mommy juice" and flask are awesome. I'm a fan of creative lubrication for sure. There are just so many awesome items here. I like your make-shift bedside table idea, too. That's the sort of thing I would do :) Oh and the Macbook covers are amazing. I'm going to try to find a book and make one myself for my Dell. 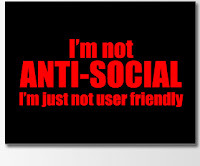 Yay for Etsy, too. 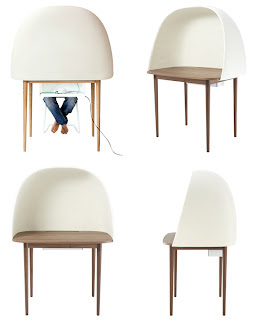 The re-write desks should have been called the cone of silence desks. Looks like someone forgot to turn off the internet while working, lol. These are all fabulous. Those notebooks are adroable! I hope you're having a wonderful Holiday Seasons, Melissa! Melissa, nice to meet you! I hope you recover from the crazy holiday and enjoy the writer's conference! After reading your post, I am looking forward to this. Your post is particular useful, plz keep going. Sometimes I sell runescape accounts to gain more money. Thank you so much to share this important information with us.please share some post for birthday return gifts.